Amazing images, this is a dream landscape for hobbit. The designer has a good imagination to do this in this way. You have to have imagination for such buildings, to create something underground is really extraordinary. 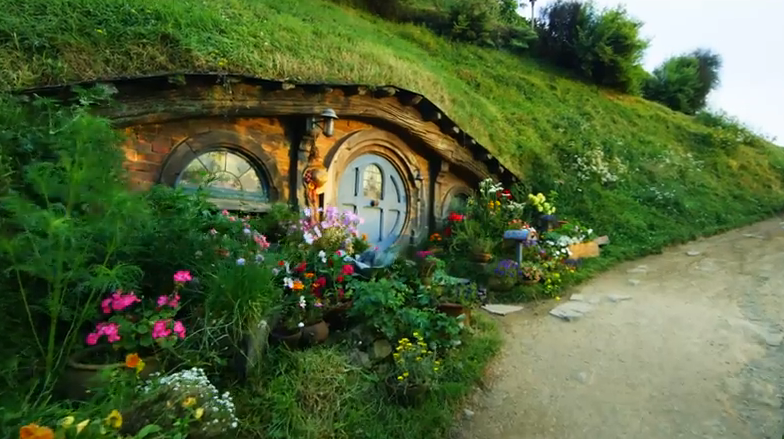 He very much helps the landscape of the New Zealand, reminds me of the master of the rings, the hobbits who lived in those houses under the ground.